Order of the Red Banner (Afghanistan), 1980-1992. 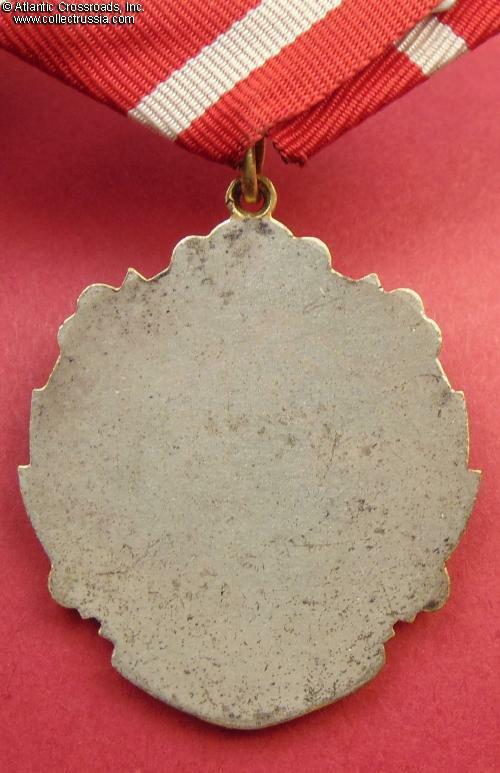 In gilded and silver plated brass and enamels; measures 45.3 mm in height (incl. the eyelet), 37.9 mm in width; weighs 22.4 grams not including the suspension and connecting link. Like the other Afghan orders of the Soviet occupation era, it was made in the Soviet Union. 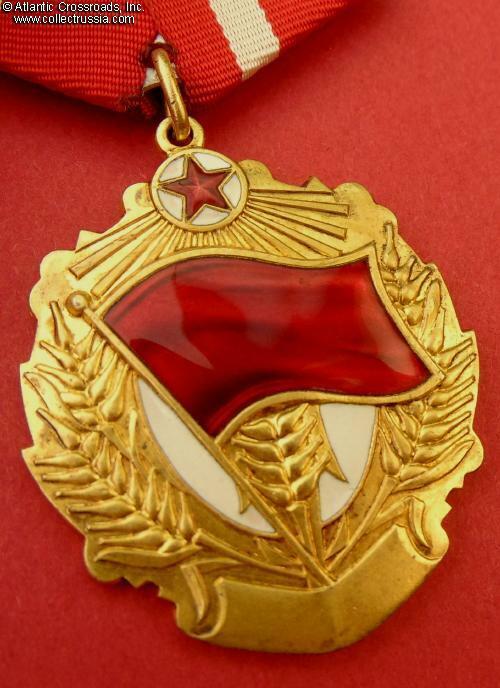 Extremely well-made piece; Soviet origin of this award is clearly evident both from its design and execution. In excellent condition. The enamel is absolutely flawless, free of even microscopic contact marks and showing beautiful luster. The raised details of the obverse are crisp and free of noticeable wear; the gilt finish is nice and bright. The silver finish on the reverse is extremely well-preserved. Comes on original Soviet suspension in aluminum, with scarce original ribbon. 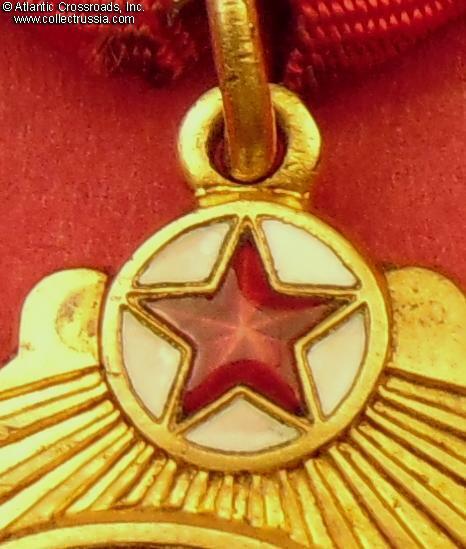 Throughout its short lifespan, the Afghan Order of the Red Banner had been awarded very sparingly and is now one of the rarest decorations of the Communist Afghanistan. 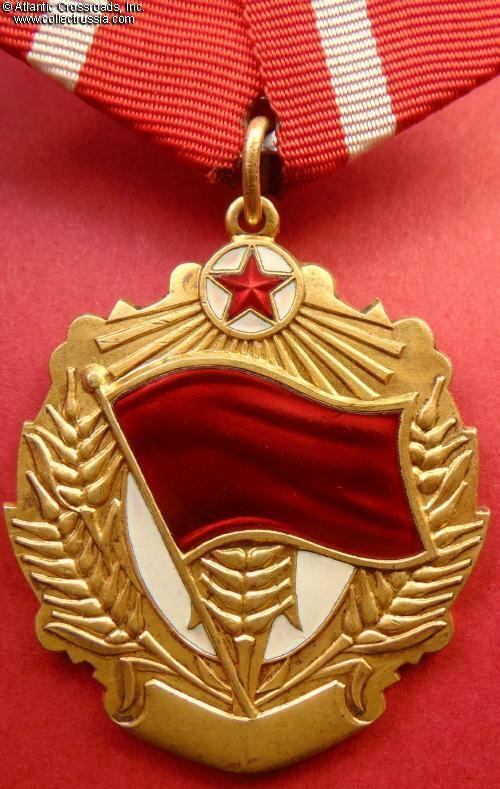 Unlike its Soviet counterpart, this was not a strictly military decoration although a majority of them were apparently issued to military men. 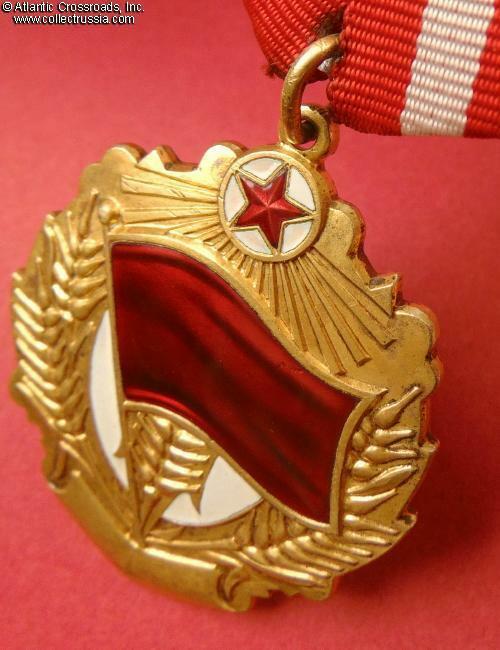 Among the recipients were top Soviet generals such as Col. Gen. Verelko, Air Force Maj. Gen. Rutskoy and Lt. General Rokhlin. According to its statutes, the order could be bestowed for such things as "feats conducted in combat conditions which involved obvious mortal risks", "exemplary combat leadership over military units" and "tangible achievements in industrial and social development of the state".